All information below is based on best available at time of writing. Any or all info is subject to change. Leichhardt Saints cater to players aged from 4 to 100. We have mixed gender, girls, boys, women and men’s teams. Small Sided Football – will play 4 a side on a 30m x 20m field. All games will be played intra-club at King George with occasional gala days against other clubs. Small Sided Football – will play 7 a side ( goalie plus 6 ) on a 40m x 30m field in a round robin format (ie. playing against different clubs at different venues each week, with no publishing of results). Games are Saturday mornings on a home and away basis – our Home games are at King George Park Rozelle, away games may be played as far away as Roselands. Small Sided Football – will play 9 a side ( goalie plus 8 ) on a 60m x 40m field in a round robin format (i.e. playing against different clubs at different venues each week, with no publishing of results). Games are Saturday mornings on a home and away basis – our Home games are at Sydney Secondary College Leichhardt, away games may be played as far away as Roselands. Will play 11 a side on a full sized field in competitive home and away games, with semis and finals. PLEASE NOTE that U12s play on a Sunday, as do U13 to U21 boys, and all Girls and Women’s teams. All Age and O35’s Play Saturday afternoons. All Age Sunday play on Sundays. Games are played on Sunday on a home and away basis – our Home games are at King George Park Rozelle, Sydney Secondary College Leichhardt and Balmain Rd Rozelle, away games may be played as far away as Roselands and Punchbowl. Play on Sundays. Usually, Girls play in the morning and Women in the afternoon. Games are Sundays on a home and away basis – our Home games are at King George Park Rozelle, Sydney Secondary College Leichhardt and Balmain Rd Rozelle, away games may be played as far away as Roselands. It should be noted that Winter football can be scheduled for each weekend, 1 April-31 August. Week 1: 6/7 April. 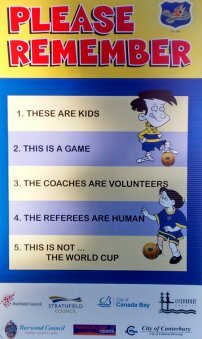 Under 8 and older – first week of games. Week 3: 27/28 April – double header for 10-team competitions (competitive – group 2). Under 6 & U7 games start at King George Park. Over the QB weekend the SSF (U8-11) divisions will undergo a natural review/regrade by the Association. Following Week 10 (or 11 if so needed) the 12-team competitions (competitive) will be split for the remaining five (5) rounds. Any division will commence their finals once rounds for eligible teams have concluded. The Champion of Champions tournament will commence mid-September and run until the late October. Strathfield FC partnered with the CDSFA to host the 2019 tournament. The ability to play such a tournament on a synthetic surface allows games to proceed uninterrupted by weather noting this week by week scheduling and vast distances some teams will travel.